In 1998, the British scientist Kevin Warwick carried out the first reported human experiment with an RFID implant. He used it to open doors, control lighting and (probably accidentally) launch a movement of DIY cyborgs. Since that year, thousands of "grinders" and other body modification enthusiasts world-wide have implanted themselves with glass capsule RFID transponders, and they're using them for everything from business cards to Bitcoin wallets. Earlier this year, I finally joined those folks by first injecting a 125kHz tag into my right hand and then following it with an NFC Type 2 tag in my left. These are just the first steps into what I hope to be a long experiment with passive and active device implantation, and even though they're minor in scale, they've already helped me understand how much fun this technology can be. HEADS UP! The video below includes a section demonstrating the implant procedure for my NFC tag. It's not bloody but there's a big needle involved so maybe steer clear if you're squeamish. I bought my glass tags from Dangerous Things, an e-retail shop dedicated to such gadgetry. Amal Graafstra, Dangerous Things Founder, is one of the community leaders in a sub-set of the hacker culture that call themselves bio-hackers. Bio-hackers can basically be thought of as the 'makers' of the Transhumanist movement. And while I generally try to distance myself from the Transhumanists (which has become an umbrella for all kinds of credulous wackos) I do identify strongly with body-hackers. Any time you break the skin, you're purposely breaching your first and most reliable line of defense against serious infection! Furthermore, mid- to long-term exposure to a foreign body can cause all kinds of irritation and damage to the surrounding tissue, even if you do everything right. Finally, the body is a complex system and while subdermal implants (objects that rest between the dermis and the fascia) don't tend to interact with vital structures, it's still important to know your anatomy and be familiar with important structures near the implant site (like identifying the plumbing and electric in a wall before drilling a blind hole... a lot like that, actually). Also, please do not implant the glass tags that we sell. If you insist on being chipped, go buy them from Dangerous Things. It's not my style to drive sales away from SparkFun, but it's not SparkFun's style to quality assure our devices for subdermal implant. The folks over at Dangerous Things will sell you a high quality glass tag, in an injection assembly, EO-gas sterilized, for not too much money. This isn't me telling you to go get chipped, but it is me saying please please please don't inject yourself with anything you bought from us. Myth #1: The Government is going to track you! I generally find that these concerns stem from a fundamental misunderstanding of the terms "track" or "tracking." People who purport to be worried about tracking tend to actually be concerned about "locating," which is a different technology altogether. 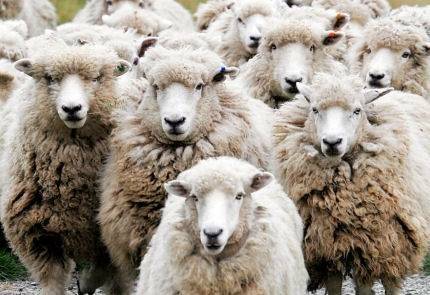 They also tend to be the kind of folks who use the word "sheeple..." We're tracked every day: Our license plates are photographed, our credit/debit transactions are recorded, our social media check-ins and phone calls all generate metadata that can tell a story post factum about where we were and what we did. Location, on the other hand, requires a network of satellites and an active transponder... or a panoptic CCTV system. Location is what your phone does when it gives you directions from your current location... this is above and beyond the scope of RFID. You can think of RFID as a barcode. There's no information on the chip except for its serial number, which is only interesting if you can reference it against a database. Unlike most barcodes, however, an RFID has very limited range. A good camera can scan a barcode from yards away, most RFID devices have a maximum range of a few inches. If I were in charge of "tracking" a large population, I probably wouldn't bother with RFID implants... especially when the population is known to willingly route all of their financial transactions through a central network, register their automobiles and ID tag them, and have reasonably unique fingerprints. Myth #2: RFID is The Mark of The Beast! Myth #3: RFID tags cause cancer! The idea that glass capsule RFID tags cause cancer in human subjects was widely popularized by a "self-published report" by Katherine Albrecht. Katherine is the founder of Consumers Against Supermarket Privacy Invasion and Numbering, and author of such illuminated texts as Spychips: How Major Corporations and Government Plan to Track Your Every Move and RFID: The Doomsday Scenario. If you're not smelling trouble yet, you can refer to her sources: a series of veterinary and toxicological studies from the mid-90s which found lab mice injected with microchips as an incidental part of unrelated experiments sometimes developed subcutaneous sarcomas near the injection site. 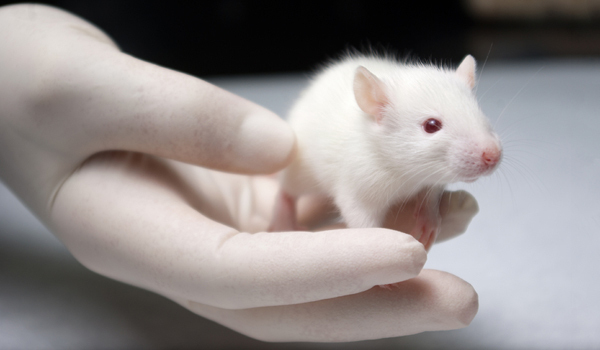 Lab mice, however, are notoriously prone to sarcomas. In fact, spontaneous disease in commonly used mouse strains was the subject of a Johns Hopkins paper that cites this problem specifically. This is just another case of a paranoid, uninformed person with an axe to grind polluting the scientific literature (not to mention public opinion). It might have slightly more legitimacy than the "anti-vax" movement. The bottom line is, we don't actually know. There's no reason to think that they do cause cancer in humans, but there's also no conclusive evidence against it. We just haven't studied it for long enough. I can tell you, however, that people don't seem quite as worried about their exposure to the well-known carcinogens in their everyday lives, and that's because we generally understand calculated risk. They only become a problem when the technology involved is new and scary. Happy Hacking! And in case I wasn't clear: (Probably) Don't Do This! If you're looking to take a less intrusive dive into the world of RFID, check out some of our great products (tinfoil hats not included). I can't put my finger exactly on it why, but I'm a little disturbed that this was done on Sparkfun's website. This feels like something that a person is more than free to do and blog about on their own, but putting this out on Sparkfun's website feels kinda wrong. Since the article has no disclaimers tied to it, one persons opinion etc, sentences like "This is just another case of a paranoid, uninformed person with an axe to grind polluting the scientific literature (not to mention public opinion). It might have slightly more legitimacy than the âanti-vaxâ movement." Blog Posts here at SparkFun are attributed to their respective authors with the understanding that the opinions therein are those of the author, not of the company. That being said, content on the SparkFun blog is meant to fairly represent some sector of the maker community and many of our customers are body hackers like myself. As for the specific opinions cited above, I would be surprised and dismayed to find that SparkFun was willing to humor the kind of credulity and paranoia that work like Katherine Albrecht's represents. But I would never ask them to 'stand behind' my rhetoric. It isn't the company's business to have an opinion in that regard. I do feel, however, that the "anti-vax movement" is a safe punching bag in educated circles and with key employees being strong and vocal proponents of vaccination, I felt assured that SparkFun would not feel misrepresented by my opinion on the subject. SparkFun Electronics maintains a fairly eclectic blog with a general theme of making and engineering. We've covered subject matter from chemistry to space travel. I think this philosophy is well summed up by this post in particular. While you may have found this disturbing, for many people it was probably a breath of fresh air and an affirmation of their hobby and interests. I remember the way I felt the first time I read about Dr. Warwick or saw a talk given by the artist Neil Harbisson, and it's exactly the same feeling I had when I first programmed an ATtiny or made my first decent lathe turning. These are all facets of making and exploring. I tried to write about this responsibly (given the subject) and I don't believe that I unfairly attacked any ideologies that haven't been historically antagonistic. My dig at "The Mark of the Beast" isn't intended as a dig at the Abrahamic traditions in general, just at a particularly vocal breed of eschatologist where their involvement in technology is concerned. it appears my original comments I made about this have been removed. Checking on my end, the only hidden comments in the system are spam messages. Also on a vaguely related topic are those "customer loyalty" cards: With the disclaimer that "I'm not a lawyer, nor do I play one on TV", the stores don't realize that they're running up a humongous liability -- if someone buys a product that gets recalled, and they fail to notify that person, there's going to be some lawyers that have a true field-day with it. As soon as we see a multi-million dollar lawsuit over this, those cards will be totally gone within the week. It's my understanding that some countries such as Australia do use RFID in their credit cards. I've heard it's common and useful there. I've had stores print notices of recalls on my receipts, so I think they are aware of this liability. One other thing I should mention is that U.S. passports have "RFID". The State Department now provides a protection sleeve, though when I got my passport (in 2010) they'd started with the RFID but not the sleeves. I don't think I'd want an RFID chip, but I've seen a couple of blogs on having a small magnet implanted in a fingertip and feeling fields, and that sounds awesome. Nick: Great article. While I can see the potential utility in having a RFID chip to open door locks and a myriad of other uses, I will not be implanting one anytime soon. However, we can and should feel free to discuss this and other technologies and their use, and I applaud you for doing so in a very responsible manner. I have always been a fan of Nate and Sparkfun. I watched this company come up from 4 guys with a hot plate doing single sided boards to a multi-product force in the maker world. However, I am sad to say that I will not be visiting their site or buying products from them ever again. I find that this post being your last before Christmas is a deliberate attack on or at least a haughty disregard for Christians to be quite deliberate (at such an inappropriate time). SparkFun employs a lot of people from a lot of backgrounds. We make a concerted and honest effort to be inclusive as possible. Our hiring and employment record will back this up. I, as a practicing Christian, have never seen SFE any attempt to offend anyone, this means internally or externally. I can see how this has questionable ties to a nonsecular holiday, but I don't see this as an attack or attempt to offend. I do think, like many of our blogpost subjects, that this has a "freedom of information" quality that may live outside a western societal mid cult and I can recognize how it may have limited appeal to some. SFE has always tried to share information and not make to much fuss about how it's viewed through a political, cultural or religious lens. Our primary goal is to create smarter, happier humans with cool projects. We hope to continue this and I wish you the best on your projects. ya i think all my holiday money will be going to Adafruit this time, it's a shame because Ive always thought SF to be superior in site/products. But even as Npoole continues to mock ppl with certain beliefs, even in the comments here, why would SF think we would turn over our cash to them? I will be sure to advertise this post with as many sites as i can. shameful. I'm really sorry you feel that way, SolderSmoker. 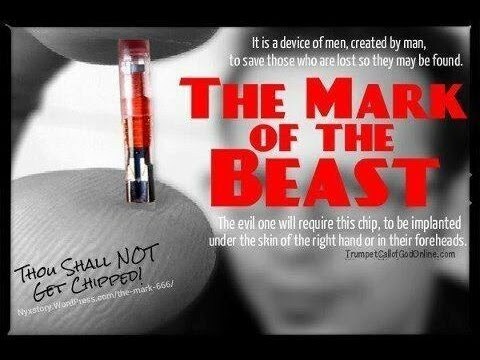 When the chip becomes mandatory, that's when you'll know it is the mark of the beast. Jesus Lives !!! Not a bad point, but as you're likely aware, harmonic radar systems work on a very different principle from RFID. You may be able to detect a passive RFID tag with a NLJD (I'm not sure about this), but you wouldn't be able to resolve them from eachother, because they wouldn't be working as intended. A harmonic radar detector doesn't have any way of measuring the inductive load of the target and therefor can't resolve the ID number. If you could detect passive RF tags with radar, they'd all look identical (same reflected RF frequency for a given incident frequency). Combine that with the fact that most environments that you might want to track people in are packed with non-linear junctions and dissimilar metal junctions, I would think that locating and identifying any number of human targets with harmonic radar would be very nearly impossible. And that's, again, assuming that the human subjects have harmonic radar targets and not passive RFID tags. I don't like to generalize (that's why I used the word "most," not all) and for all I know, someone will be tracking passive tags at a distance at next year's DEFCON... but so far the closest thing I've found is this pretty brilliant Blackhat talk on the subject. SparkFun employs a lot of people from a lot of backgrounds. We make a concerted and honest effort to be inclusive as possible. Honestly, did you run this by people of other faiths? Most Hindu, and Muslim believers that I work with would not see it being respectful. Our hiring and employment record will back this up. I, as a practicing Christian, have never seen SFE any attempt to offend anyone, this means internally or externally. That is why I find it so disappointing that you would now. I can see how this has questionable ties to a non-secular holiday, but I donât see this as an attack or attempt to offend. I do think, like many of our blogpost subjects, that this has a âfreedom of informationâ quality that may live outside a western societal mid cult and I can recognize how it may have limited appeal to some. I do not know what this means unless it is an attempt to present a palatable reference to the bible belt. SFE has always tried to share information and not make to much fuss about how itâs viewed through a political, cultural or religious lens. Then why did you post in giant red letters âTHE MARK OF THE BEASTâ which is directly from the Bible. And then attempt to Mythify it (if that is a word) and to mock it. Our primary goal is to create smarter, happier humans with cool projects. We hope to continue this and I wish you the best on your projects. As far as cool projects, I have noticed that the âFriday new project postâ have become virtually non-existent. After going to the site, on Saturday, I was hoping to see a cool project of something that lights up or makes a cool sound effect for me and my kids to do during the Christmas break. I have found that Adafruit has started to eclipse SFE on the cool factor. For example, SPE has not expanded its BLE line and does not offer an IMU like the BNO055 that includes motion fusion to give the Novice like me the ability to output Eulers, or Quaternions but instead highlights a fringe topic about a 20 year old $5.00 part and show it being used in humans instead of animals for which it was intended. Thanks! This is exactly my intention! I've formatted your comment so that it's easier to read, please review it to ensure that I haven't altered it in any way to misrepresent your opinion. Thanks. I take it you can reprogram it with new contact details without having to remove or replace it? Nick, that's the best yet!!! And super kudos to who ever did it - I'm still trying to add up all those digits and come up with 666. Newb question. How will these implants interact with medical devices? Is there enough metal in there to throw off a CT or MRI scan? Is there enough metal that an MRI would rip the tag out of your skin? I address this briefly in the video, but having talked to people who have had imaging done since they got chipped, it doesn't appear to be a problem. There's actually very little ferromagnetic material in the tag. I suppose it's possible that the current induced in the antenna of the tag may damage it electrically but I haven't heard of that happening yet. The real problem may be convincing the tech who has to run the MRI to let you in there if he/she knows that you're chipped. Scanners are expensive and they won't take unnecessary risks if they haven't seen evidence that it won't be a problem. Nick addresses this, and a bunch of other concerns in the video around the 5:50 mark.